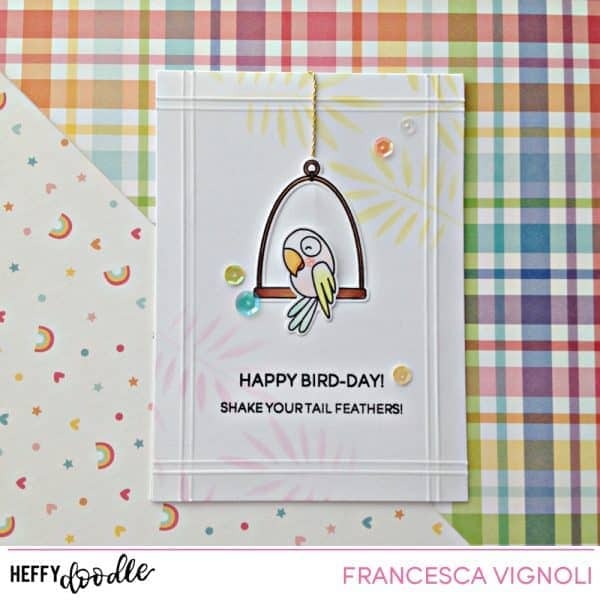 Franci here with you today with a Happy birthday card feat the Wingam set! First of all i created my card base out of white cardstock and i also cut out a coordinated panel in white too. I created my soft background on my panel by sponging some distress inks on to the UnbeLEAFable stencil. And i also created some fun embossed details to frame my panel with my scooring board. 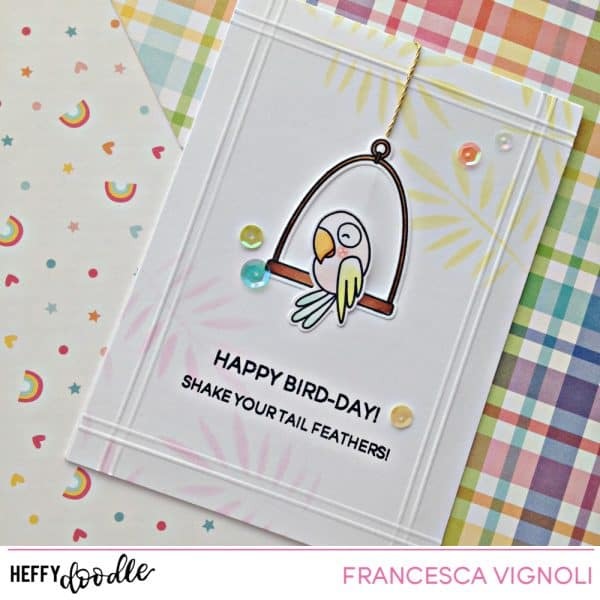 I stamped, colored and die cut the images and i also stamped the setiments. Finally i glued down the images and i also added a piece of gold twine at the top. 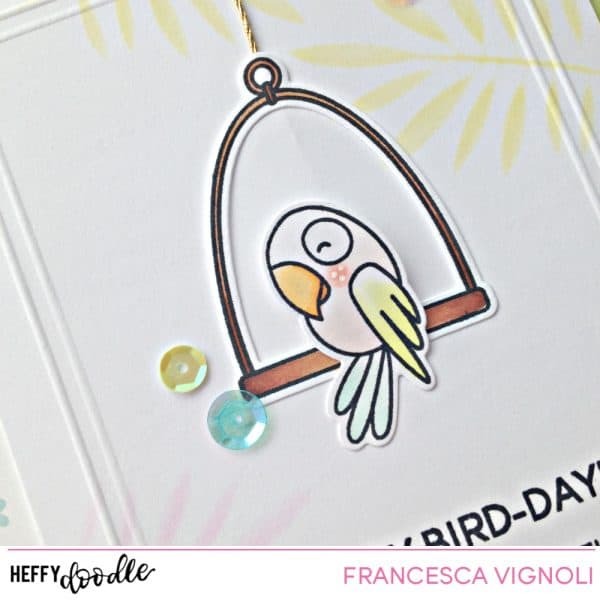 I added some details with a white gel pen and glued down some sequins in coordinated color to finish my card. This card is soo clean and simple, i love it a lot! Hope you like it too and thank you so much for stopping by today!